Lilia Carpinelli (soprano), Luca Manghi (flute) and Matteo Napoli (piano) in "A night at the Opera". 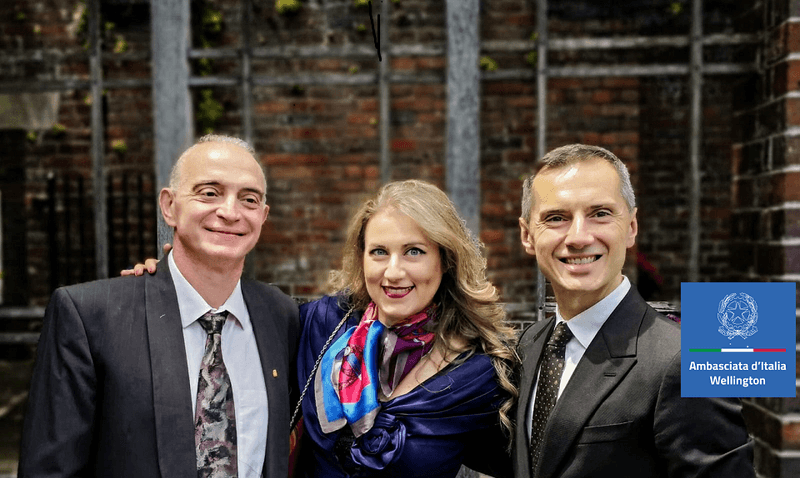 Italian-born New Zealand based artists, international performers Carpinelli, Manghi and Napoli will perform in public together for the first time, with a special programme prepared especially for this occasion. Their recital for soprano, flute and piano, will take us on a journey through Nineteenth-Century Italian Opera, with themes of popular arias by Vivaldi, Rossini, Puccini, Verdi as well as Italian traditional songs.